Shirley Temple and Annette Funicello are remembered as two of the most adorable child stars ever. This is a short clip of the two of them together at the 1961 Oscars. Annette accepting an award for Haley Mills. Extremely refreshing to see such a young lady. After the Mickey Mouse Club, Annette remained under contract with Disney for a time, with television roles in Zorro, Elfego Baca and The Horsemasters. For Zorro, she played Anita Cabrillo in a three-episode storyline about a teen-aged girl arriving in Los Angeles to visit a father who does not seem to exist. This role was reportedly a birthday present from Walt Disney, and the first of two different characters played opposite Guy Williams as Zorro. Annette also co-starred in Disney-produced movies such as The Shaggy Dog, Babes in Toyland, The Misadventures of Merlin Jones and The Monkey’s Uncle. The Monkey’s Uncle featured Annette singing with the Beach Boys. 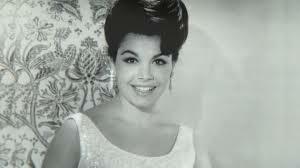 Although uncomfortable being thought of as a singer, Funicello had a number of pop record hits in the late 1950s and early 1960s, mostly written by the Sherman Brothers and including: “Tall Paul“, “First Name Initial”, “O Dio Mio”, “Train of Love” (written by Paul Anka) and “Pineapple Princess“. They were released by Disney’s Buena Vista label. 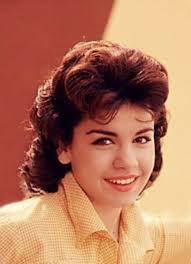 Annette also recorded “It’s Really Love” in 1959, a reworking of an earlier Paul Anka song called “Toot Sweet”. Paul Anka was noted to have a crush on her, however, Walt Disney overprotected Annette, which broke Paul’s heart. This resulted in his song “Puppy Love“, which was inspired by his hopeless romantic crush on Annette. 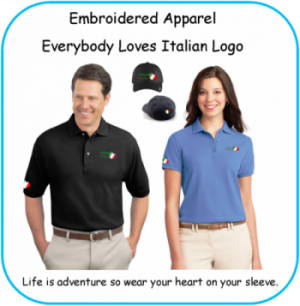 In an episode of the Disney anthology television series titled “Disneyland After Dark“, Funicello can be seen singing live at Disneyland. Walt Disney was reportedly a fan of 1950s pop star Teresa Brewer and tried to pattern Funicello’s singing on the same style. 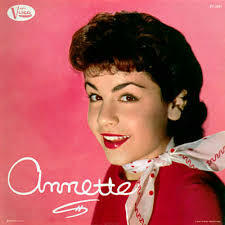 However, Funicello credits “the Annette sound” to her record producer, Tutti Camarata, who worked for Disney in that era. Camarata had her double-track her vocals, matching her first track as closely as possible on the second recording to achieve a fuller sound than her voice would otherwise produce.